Ilona Mettiäinen is working as doctoral researcher at the Arctic Centre of the University of Lapland, in Rovaniemi, Finland. 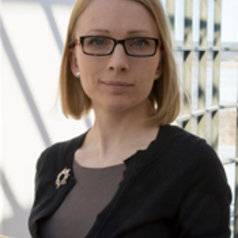 She holds a Master’s Degree from the University of Tampere in Regional Studies. Mettiäinen’s ongoing interdisciplinary PhD research is about strategic planning on regional and local level as a method for planning climate change adaptation. She has received funding for her doctoral research from the multidisciplinary Arctic Doctoral Programme ARKTIS, coordinated by the Arctic Centre, University of Lapland and funded by the Finnish Ministry of Education and Culture and the Academy of Finland. For her dissertation, Ilona Mettiäinen has collected empirical data from the regional climate change strategy of Finnish Lapland. Moreover, she has contributed to the Barents Euro-Arctic Council’s work for regional climate strategies for the Barents member regions since 2012. Mettiäinen teaches annually in the international Arctic Studies Programme at the University of Lapland. On freelance basis she also gives lectures on sustainable Arctic tourism and collaborative planning methods. She writes occasionally to the Northern Political Economy research team blog at www.arcticcentre.org. Ilona Mettiäinen’s photography exhibition “Nanoq – imag(in)ing climate change” popularizing her doctoral research will be opened at the Arktikum science centre in Rovaniemi in September 2016.